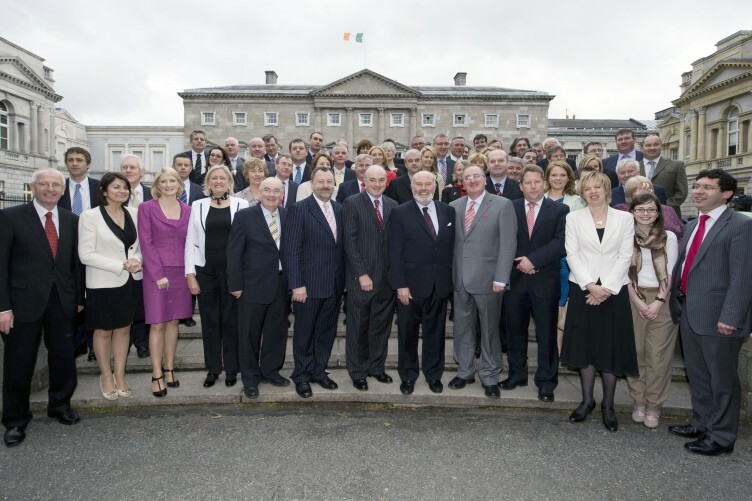 As revealed by RTÉ in recent times, over 75 different TDs have received over half a million euro between February 2011 and 2014, including their salary and expenses. Of particular interest to the students here in NUI Galway, 7 out of the 9 Galway TDs have received in excess of half a million euro. This excludes Independent TD Noel Grealish, who received just over 498,000 euro in both his salary and his claimed expenses combined. Fine Gael TD Ciaran Cannon, for Galway East, received just under 392,000 euro. This includes the 92,000 euro annual salary, just for some perspective on the levels of actual expenses been claimed. After seeing these levels of compensation, as well as controversies such as the ones that have come to light about Michelle Mulherin in recent times, it’s easy to simply claim that politicians are getting too big of salaries, and the expense payments should be abolished. But we should maintain some perspective – there is a reason why TDs are given a wage and expenses in the first place. Before the introduction of a wage for public representatives, the only people who could afford to become a full-time politician were either those with inherited wealth, or else former business people of some type. Although those backgrounds are still relatively over-represented in politics around the world, the introduction of pay for politicians does allow those with more diverse backgrounds to enter politics. Of course, the principle of paying politicians is one thing – deciding how much they should be paid is still a matter of political conflict. As for expense payments, they help level the playing field somewhat between politicians, providing resources for newly-elected TDs. There are quite a few types of expenses that TDs are entitled to claim – one set is designed for compensating the cost of the travel and accommodation required in order for TDs to stay and work in Dublin throughout the week, which is worked out in accordance to how far a TD lives from Dublin. That does sound plausibly reasonable – after all, very few people would normally commute from the likes of Donegal, Leitrim or Kerry on a regular basis to Dublin. So it makes sense that they should be compensated for the cost of travel that their counterparts in the Dublin commuter belt wouldn’t have. However, even TDs elected from Dublin are entitled to 9,000 euro per year for travel and accommodation to work – albeit less than the 34,000 euro that TDs living over 360 kilometres away from the capital are entitled to, but it is questionable why TDs living within what most people would consider to be a reasonable commuting distance from their workplace would require such compensation at all. And that isn’t even getting into the more obvious questions, such as whether TDs already own property in the capital, or can stay with relations instead of staying in hotels. Nor does it consider how a TD travels to work, either by car, public transport, or (especially for Dublin TDs) cycling and walking. There are other sets of expenses compensated, including those paid out to TDs to cover the costs ‘incurred in the performance of his or her duties’ as a public representative, and the once-off 8,000 euro grants offered to newly-elected TDs to help establish their constituency offices. There is also what is known as the ‘direct purchase scheme’ to buy mobile phones and accessories like car kits or extra batteries. It is paid out to a maximum of €750 every eighteen months and must be accompanied with full shop receipts, which are publicly available. I should have said “of particular interest to student from Galway”, to distinguish them from NUI Galway students from other parts of the country and the world – which includes the vast majority of the University’s students, me included.